We are recording high resolution, real-time temperature, DO concentration, and water depth measurements using a thermistor chain located off the western shore of Lake Tahoe. When the lake is stratified, the bottom of the lake (the hypolimnion) is essentially isolated from the oxygen transfers from the air and from tributaries. 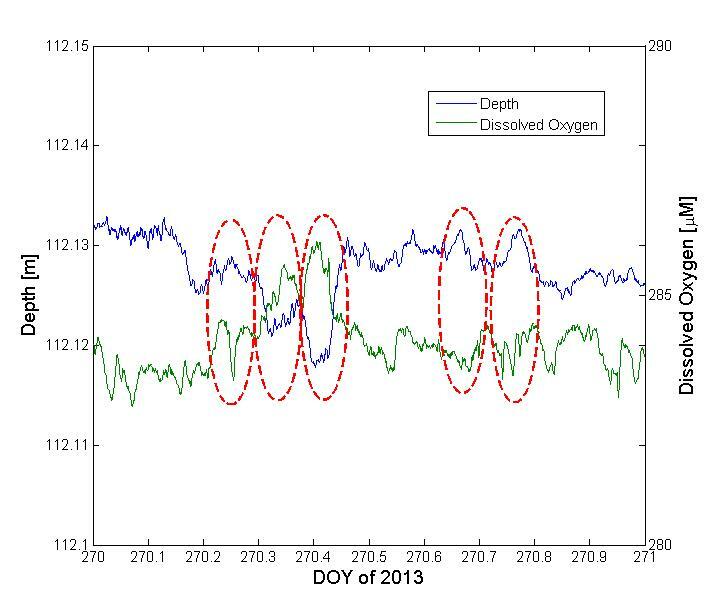 The goal of this research is to use unique sensor arrays to identify the causes of mixing and transport of DO within the hypolimnia of deep lakes. We hope to then develop algorithms to represent these mechanisms in models to better quantify climate change impacts on lakes.